Cross-shore sediment transport during storms and hurricanes may control the long-term coastal erosion and shoreline recession with dramatic irreversible consequences on our natural and urbanized nearshore environment. To assess the impact of such climatic extreme events on coastal and river erosion, reliable sediment transport models are urgently needed to improve our quantitative prediction ability of the shoreline evolution. In this context, I am studying the physics of sediment transport under the action of coastal waves and currents by combining theoretical flow concepts and models with process oriented experiments conducted in large-scale hydrodynamic facilities at LEGI (wave flume and open-channel) and of the european Hydralab consortium (UPC-CIEM wave flume, U. Hannover-GWK wave flume, U-tube at DELTARES). Thorne, P. D., Hurther, D., Cooke, R., Cáceres, I., Barraud, P. - A., & Sánchez-Arcilla, A. (2018). Developments in acoustics for studying wave-driven boundary layer flow and sediment dynamics over rippled sand-beds. Continental Shelf Research, 166, 119–137. Van Der Zanden, J., Van Der A, D. A., Cáceres, I., Hurther, D., Mclelland, S. J., Ribberink, J. S., et al. (2018). Near-Bed Turbulent Kinetic Energy Budget Under a Large-Scale Plunging Breaking Wave Over a Fixed Bar. Journal of Geophysical Research. Oceans, . Naqshband, S., Hoitink, A. J. F., Mcelroy, B., Hurther, D., & Hulscher, S. J. M. H. (2017). A Sharp View on River Dune Transition to Upper Stage Plane Bed. Geophysical Research Letters, . Van Der A, D. A., Van Der Zanden, J., O’donoghue, T., Hurther, D., Cáceres, I., Mclelland, S. J., et al. (2017). Large-scale laboratory study of breaking wave hydrodynamics over a fixed bar. Journal of Geophysical Research. Oceans, 122(4), 3287–3310. Van Der Zanden, J., Van Der A, D. A., Hurther, D., Cáceres, I., O’donoghue, T., Hulscher, S. J. M. H., et al. (2017). Bedload and suspended load contributions to breaker bar morphodynamics. Coastal Engineering, 129, 74–92. Van Der Zanden, J., Van Der A, D. A., Hurther, D., Cáceres, I., O’donoghue, T., & Ribberink, J. S. (2017). Suspended sediment transport around a large-scale laboratory breaker bar. Coastal Engineering, 125, 51–69. Van Der Zanden, J., Van Der A, D. A., Hurther, D., Cáceres, I., O’donoghue, T., & Ribberink, J. S. (2016). Near-bed hydrodynamics and turbulence below a large-scale plunging breaking wave over a mobile barred bed profile. Journal of Geophysical Research. Oceans, 121, 6482–6506. Chassagneux, F. - X., & Hurther, D. (2014). Wave bottom boundary layer processes below irregular surfzone breaking waves with light-weight sheet flow particle transport. Journal of Geophysical Research. Oceans, 119. Naqshband, S., Ribberink, J. S., Hurther, D., Barraud, P. - A., & Hulscher, S. J. M. H. (2014). Experimental evidence for turbulent sediment flux constituting a large portion of total sediment flux along migrating sand dunes. Geophysical Research Letters, . Naqshband, S., Ribberink, J. S., Hurther, D., & Hulscher, S. J. M. H. (2014). Bed load and suspended load contributions to migrating sand dunes in equilibrium. Journal of Geophysical Research : Earth Surface, 119. Thorne, P. D., & Hurther, D. (2014). An overview on the use of backscattered sound for measuring suspended particle size and concentration profiles in non-cohesive inorganic sediment transport studies. Continental Shelf Research, 73, 97–118. Moore, S. A., Le Coz, J., Hurther, D., & Paquier, A. - É. (2013). Using multi-frequency acoustic attenuation to monitor grain size and concentration of suspended sediment in rivers. Journal of the Acoustical Society of America, 133(4), 1959–1970. Moore, S. A., Le Coz, J., Hurther, D., & Paquier, A. - É. (2012). On the application of horizontal ADCPs to suspended sediment transport surveys in rivers. Continental Shelf Research, 46, 50–63. Hurther, D., & Thorne, P. D. (2011). Suspension and near-bed load sediment transport processes above a migrating, sand-rippled bed under shoaling waves. Journal of Geophysical Research. Oceans, 116, 07001. Hurther, D., Thorne, P. D., Bricault, M., Lemmin, U., & Barnoud, J. - M. (2011). 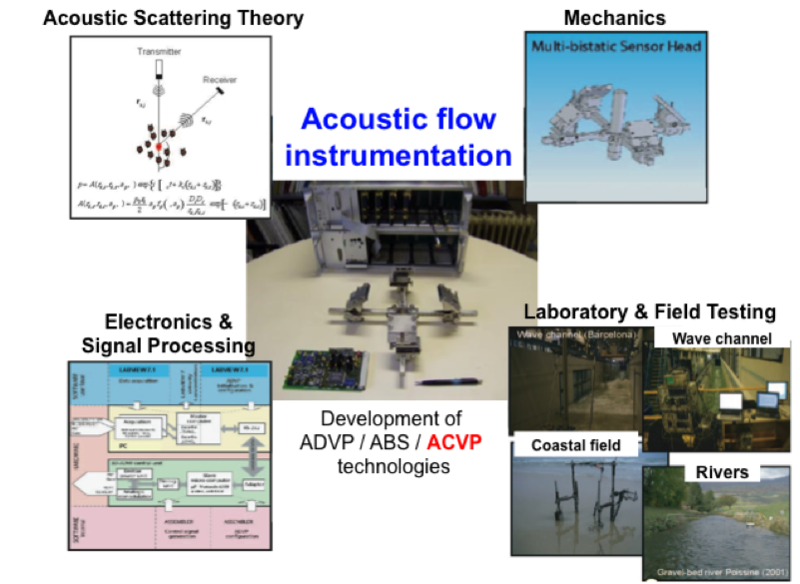 A multi-frequency Acoustic Concentration and Velocity Profiler (ACVP) for boundary layer measurements of fine-scale flow and sediment transport processes. 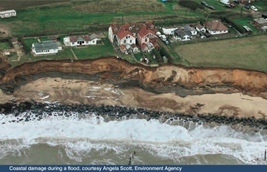 Coastal Engineering, 58, 594–605. Mignot, E., Hurther, D., Chassagneux, F. - X., & Barnoud, J. - M. (2011). A field study of the ripple vortex shedding process in the shoaling zone of a macro-tidal sandy beach. Journal of Coastal Research, SI 56, 1776–1780. Sottolichio, A., Hurther, D., Gratiot, N., & Bretel, P. (2011). Acoustic turbulence measurements of near-bed suspended sediment dynamics in highly turbid waters of a macrotidal estuary. Continental Shelf Research, 31(10), 36. Thorne, P. D., Hurther, D., & Moate, B. (2011). Acoustic inversions for measuring boundary layer suspended sediment processes. Journal of the Acoustical Society of America, 130(3), 1188–1200. Hurther, D., & Lemmin, U. (2008). Improved Turbulence Profiling with Field-Adapted Acoustic Doppler Velocimeters Using a Bifrequency Doppler Noise Suppression Method. Journal of Atmospheric and Oceanic Technology, 25(3), 452–463. Douroudian, B., Hurther, D., & Lemmin, U. (2007). A discussion of turbulence measurements with acoustic Doppler velocimeters. Journal of Hydraulic Engineering, 133(11), 1286. Hurther, D., & Lemmin, U. (2007). 27. Pulse-coherent Doppler velocity and concentration profilers for the study of fine-scale flow and sediment processes. 28. Invited lecture in Proceedings of the Underwater Acoustic Measurements conference, , 358. Hurther, D., Lemmin, U., & Terray, E. A. (2007). Turbulent transport in the outer region of rough wall open-channel flows: the contribution of Large Coherent Shear Stress Structures (LC3S). Journal of Fluid Mechanics, 574, 465–493. Hurther, D., Terray, E. A., & Lemmin, U. (2004). Dynamics of shear layers induced by hairpin packets in shallow free-surface flows: implications for gas transfer. In Shallow Flows (pp. 333–436). Uijttewaal W. and Jirka G.H., Publis. Balkema/ Amsterdam. Hurther, D., & Lemmin, U. (2003). Turbulent particle and momentum flux statistics in suspension flow. Water Resources Research, 39(5). Hurther, D., & Lemmin, U. (2002). A high-resolution 3-D acoustic Doppler profiling current Meter/Sediment Flux Profiler and its use in Laboratory and environmental studies. In EWRI and IAHR joint conference, Hydraulic measurement and Experimental methods Estes Park. Colorado, United States. Hurther, D., Fischer, S., Schwaller, B., & Schmitt, P. (2002). Procédé et dispositif de mesure des vitesses de liquides dans des conduites et canaux. France. Hurther, D. (2001). 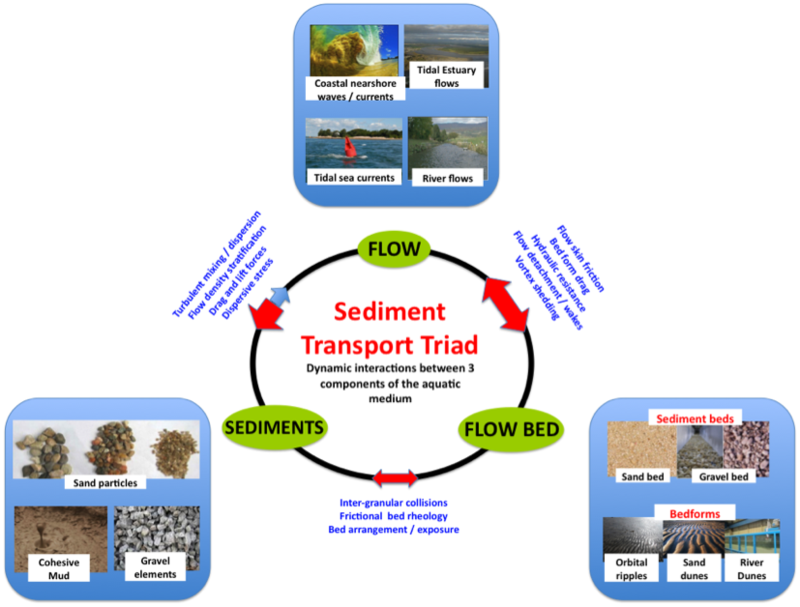 Sediment transport assessment in suspension flow based on coherent structures characteristics. In 1st price of J.F. Kennedy Award. XXIX IAHR Congress. Beinjing, China. Hurther, D., & Lemmin, U. (2001). A correction method for turbulence measurements with a 3D acoustic Doppler velocity profiler. Journal of Atmospheric and Oceanic Technology, 18(3), 446–458. Hurther, D., & Lemmin, U. (2001). A discussion of equilibrium near bed concentration of suspended sediment. Journal of Hydraulic Engineering, 127(5), 333–436. Hurther, D., & Lemmin, U. (2001). Particle transport capacity of turbulent coherent structures in suspension flows. In Euromech workshop 428. Torino, Italy. Hurther, D., & Lemmin, U. (2001). Shear stress statistics and wall similarity analysis in turbulent boundary layers using a high resolution 3D ADVP. IEEE Journal of Oceanic Engineering, 25(4), 446–457. Hurther, D., Lemmin, U., & Branckaert, K. (2001). A field study of transport and mixing in a river using an acoustic Doppler velocity profiler. In International Conference on Fluvial Hydraulics, IAHR. Louvain-la-neuve, France.